If you are visiting Paris this fall, make sure you mark this down as one of your must-visit places. 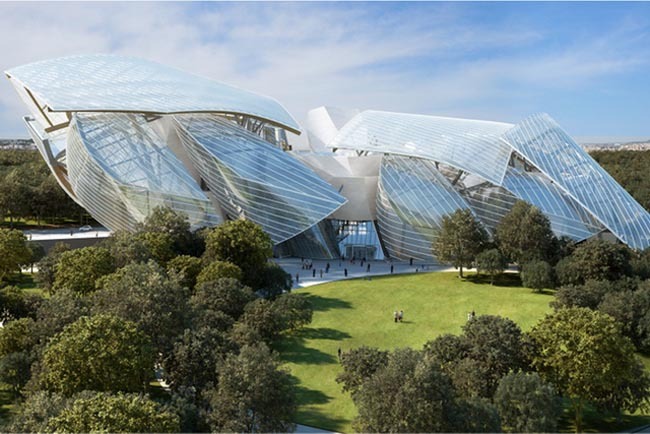 Opening its doors to the public from 27 October 2014 is the Fondation Louis Vuitton, nestled in the Jardin d’Acclimatation west of central Paris. The Frank Gehry-designed building houses exhibition galleries dedicated to the permanent collection, temporary exhibitions and artists’ commissions. There will also be a flexible auditorium for the presentation of multi-disciplinary performances and events. The building, designed to resemble a cloud of glass, offers unique panoramic views of Paris and the lush greenery of the Jardin d’Acclimatation. To celebrate its opening, the Fondation Louis Vuitton will present an exhibition showcasing the architectural project created by Frank Gehry for the foundation. The exhibition will be presented in dialogue with the first European retrospective of Frank Gehry’s work presented by the Centre Pompidou, from October 2014. The 110-year-old French legacy is bringing its famous pastries and treats to 3/F Lane Crawford IFC Mall. 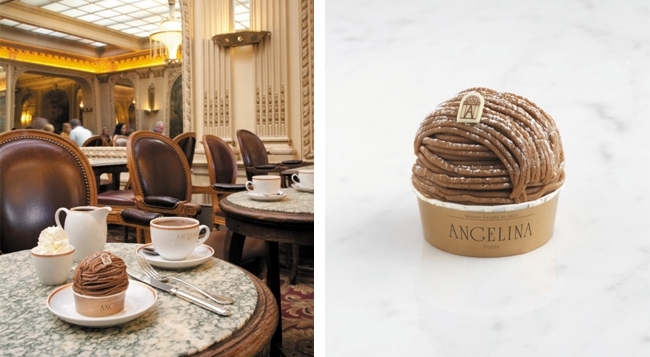 Angelina Restaurant, an institution in Paris renowned for its ultra thick and luxurious l’Africain hot chocolate and mont-blanc pastry, is continuing its growth in Asia with its latest outpost here in Hong Kong. 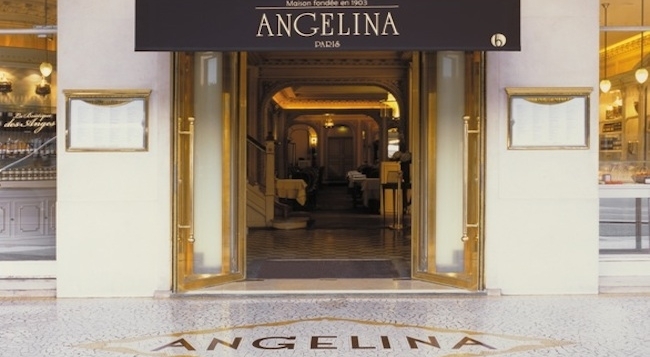 For lunch and dinner, the restaurant will be offering a menu filled with authentic and traditional French dishes, and gift-ready packaged delicacies can be purchased at Angelina Boutique. Brunch will be served daily, along with a luxurious French afternoon tea. Kit Harington, best known for his role in Game of Thrones, is the face of the Jimmy Choo men’s Fall/Winter 2014 campaign, photographed by Peter Lindbergh in a modernist Los Angeles mansion designed by John Lautner. Jérôme Dreyfuss, husband of French womenswear designer Isabel Marant, began his eponymous accessories line in 2002, after foraying in womenswear design — or what he called “couture a porter” — for several years. 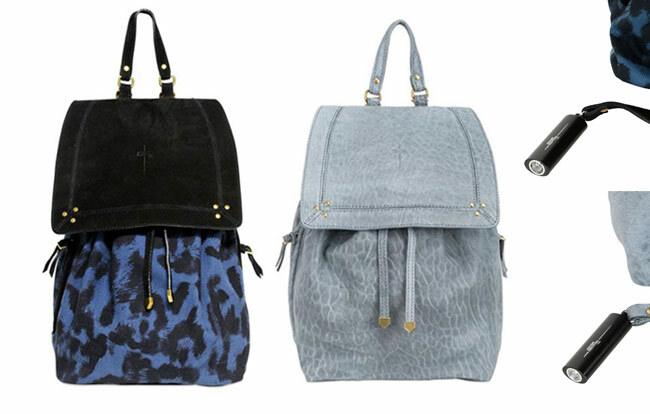 Dreyfuss’ debut bag collection, “Roots de Luxe,” set the tone for his trademark soft, leather bags. Each piece is designed in his Paris studio before undergoing a slow, environmentally friendly production process that supports artisanal methods of craftsmanship. Dreyfuss then aptly appropriates each of his creations a male name — such as Albert, Aldo, Bandit, Billy, Igor, Lucien or Momo — so women the world over can have fabulous humanized male shoulder companions. 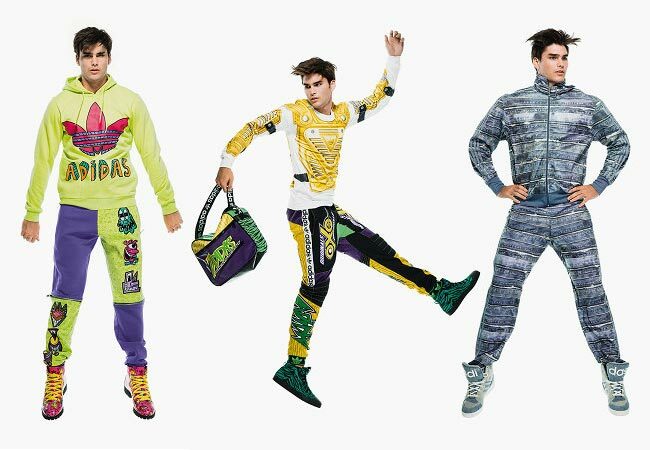 Jeremy Scott returns to his ongoing collaboration with adidas Originals in another distinctive collection for Fall/Winter 2014. The partnership continues in its distinctive style, blending Scott’s characteristic bold, over-the-top designs with adidas’s hi-tech and versatile sportswear fabrics and silhouettes. In addition to the playful graphics, the collection also includes more sporty, moto-inspired pieces featuring racing logo-like graphics. 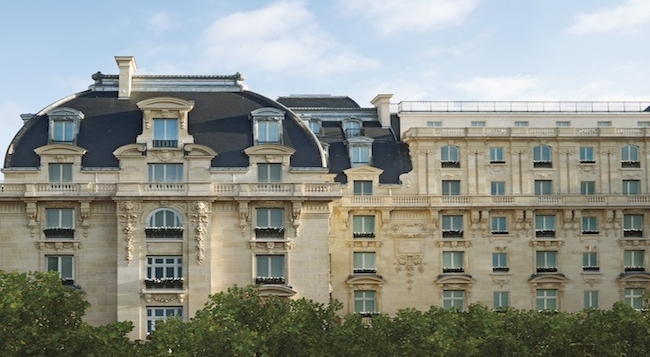 To celebrate the opening of its newest sister property in Paris, the Peninsula Hong Kong will capture the culture of France with promotions and special events throughout the hotel. 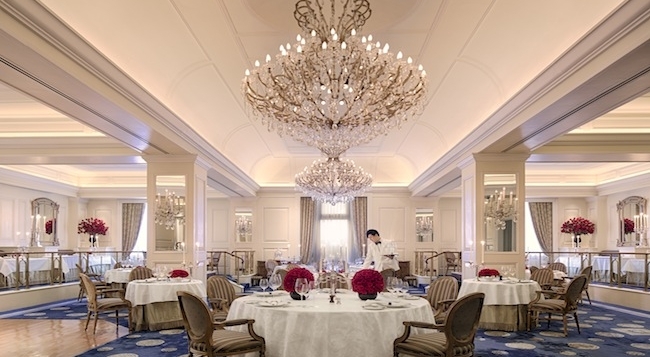 The Peninsula is making its European debut on August 1, 2014, and as a tribute to the birth of the Peninsula Paris, the Peninsula Hong Kong will be reveling in a summer celebration of “All Things French”. 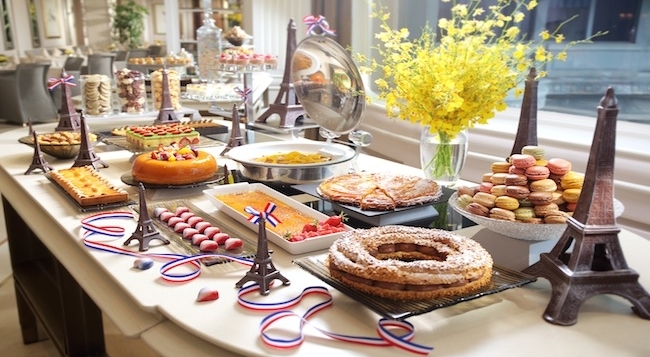 Beginning this summer and extending through the end of the year, the “All Things French” celebration will take place at all Peninsula branches around the world, giving guests a chance to explore the rich culture and history of France without having to change their busy travel itineraries. 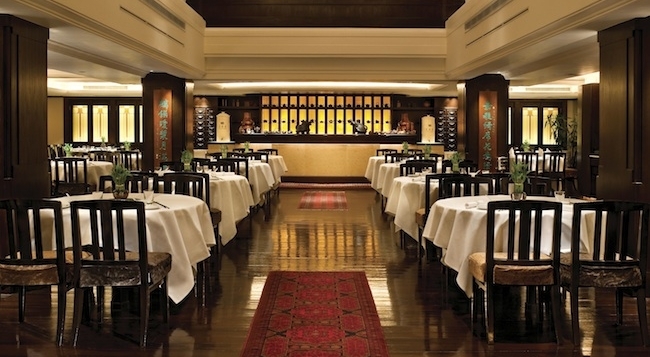 • European-style afternoon tea and baguette sandwiches in The Lobby. 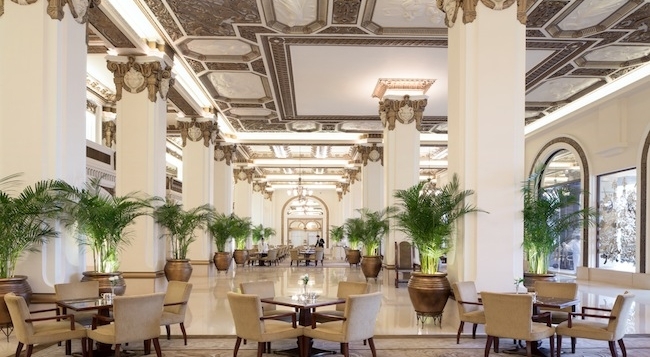 • Maître Chocolatier Marijn Coertjens will create a replica of the Tower made entirely out of chocolate to be on display in The Lobby and in The Verandah Café. • “Maître Pâtissier” classes for budding young chefs willing to try their hand at making French pastry classics. Classes are open to children aged four to ten, and are priced at HK$880 per child. 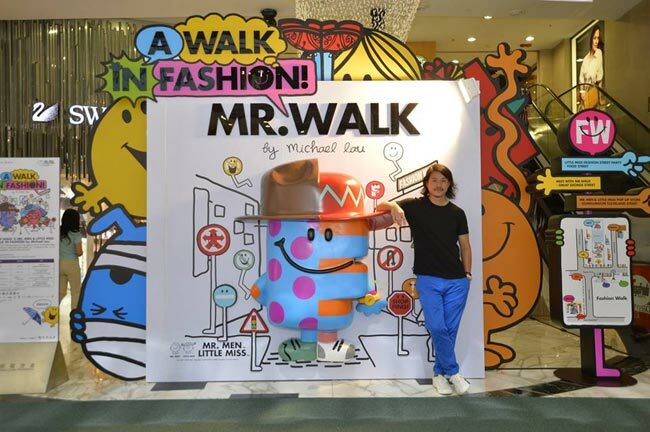 Fashion Walk invited the father of chic toy figures, Michael Lau, to feature in the collaborative creation “A WALK IN FASHION by Michael Lau” summer campaign. 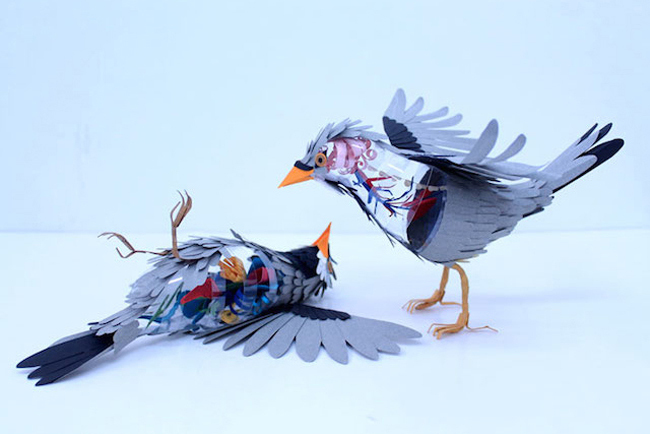 In this fabulous campaign, Michael will introduce characters from the highly popular British book series “Mr. 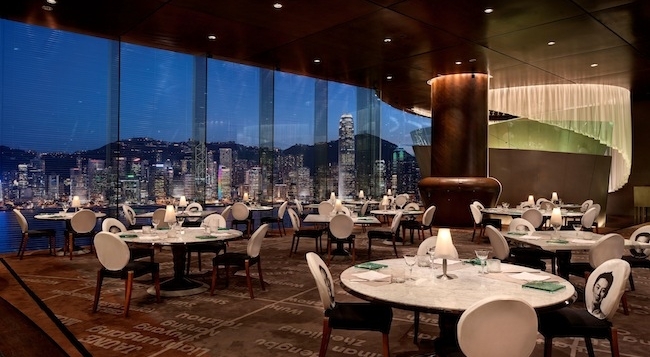 Men & Little Miss” into Hong Kong’s distinctive lifestyle destination. 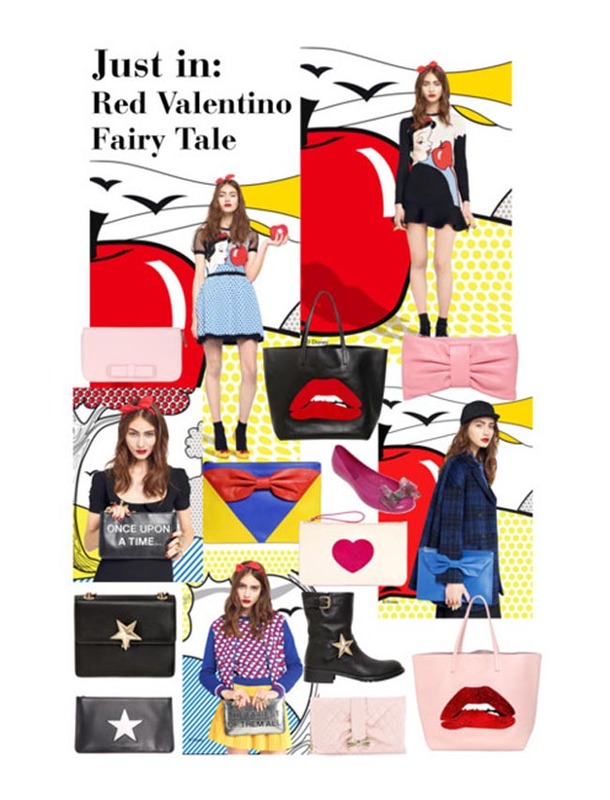 In addition, in order to fully celebrate summer together with Fashion Walk’s shoppers, Michael has created two new characters, “Little Miss Fashion” and “Mr. 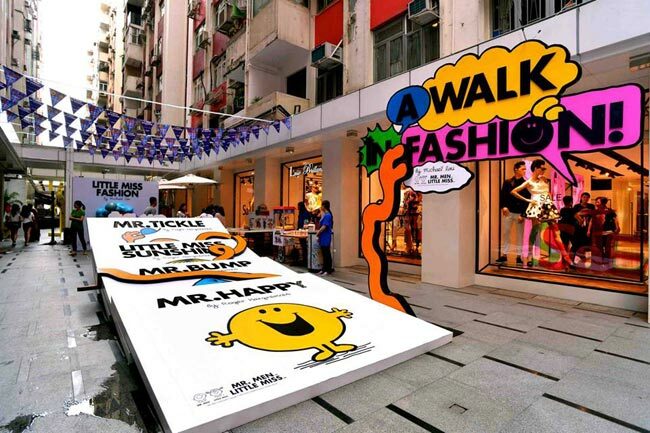 Walk”, who will make their Hong Kong debut when they join the Summer Music Street Party to be held at Fashion Walk. Starting from June 21, every Saturday from 5pm to 7pm, Fashion Walk’s Food Street will host a “Little Miss Fashion Street Party”. Customers with any same-day spending receipt can enjoy free entry to the party. The fun will include “Little Miss Fashion and Mr. Walk” themed game booths, including Rainbow Toss and Football Tic Tac Toe. Popcorn, Coca-Cola, Hoegaarden beer* and vitaminwater® will also be served in the area. 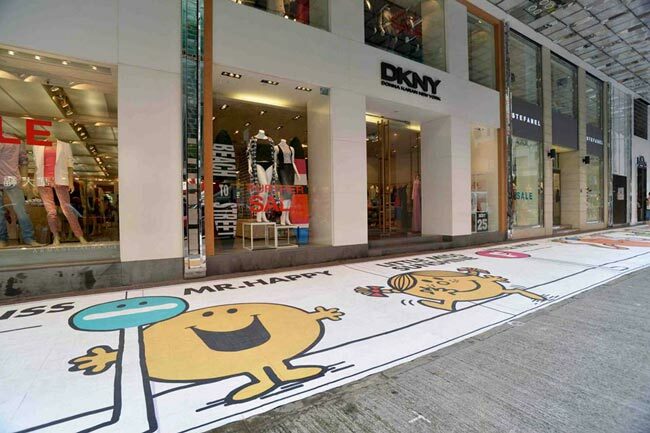 Shoppers spending a designated amount can redeem a limited edition “Fashion Walk and Mr. Men & Little Miss” umbrella and participate in the lucky draw.